The PDA50 is designed to drive capacitive loads such as the TLens® autofocus actuators. It has a 10-bit DAC and is capable of 50V output voltage. 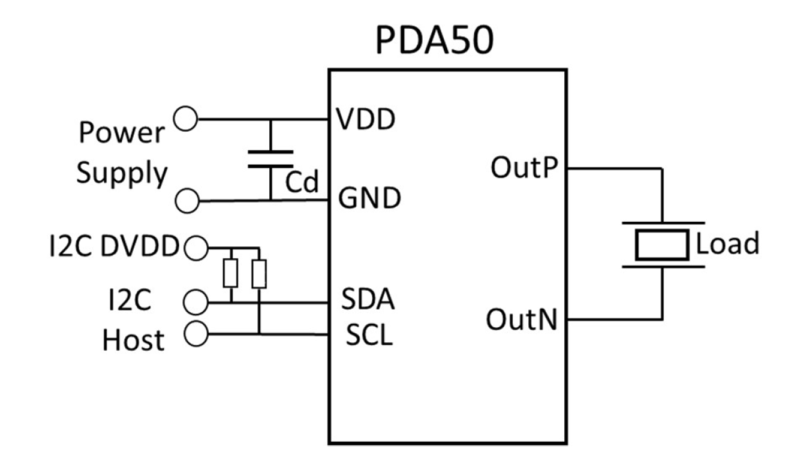 The PDA50 uses an I2C interface operating at up to 400KHz. The power-on reset circuit guarantees 0V output voltage at start-up. It has a powerdown feature that reduces current consumption in standby to below 5uA.